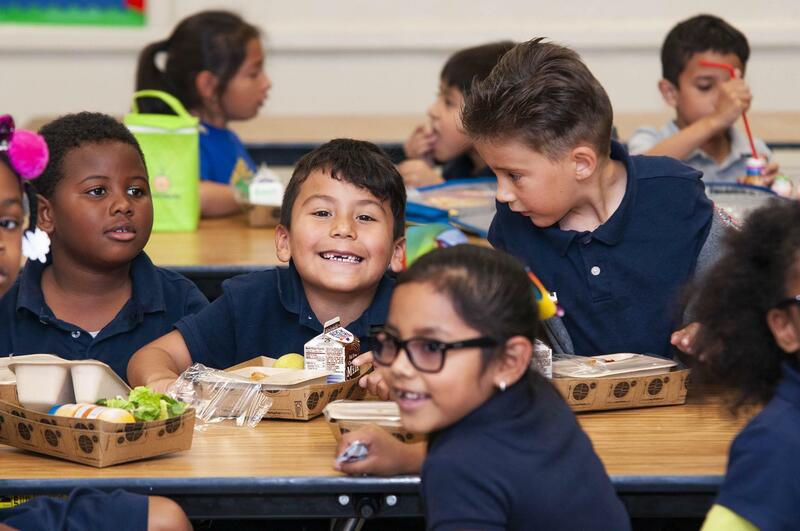 The Inglewood Unified School District (IUSD) Food Service Department’s intention is to ensure the offering and service of nutritionally wholesome and well balanced meals for breakfast, lunch, and snack are made available to students. It is our goal to provide a variety of foods which encourage healthy eating habits and physical activity as a lifestyle. Fill out the form and return it to your school’s office. You will then be notified by mail on your child’s status. The National School Lunch Program is a federally assisted meal program that operates in public schools, such as those within IUSD. The program provides students with nutritionally balanced, low-cost or free lunches to children each day they are at school. The program was established under the National School Lunch Act, signed by President Harry Truman in 1946. IUSD students will enjoy a variety of healthy choices in accordance with the Healthy, Hunger-Free Kids Act of 2010. IUSD has made every effort to ensure that all meals include items that are healthy and fresh. This federal law aims to reduce the incidence of childhood obesity by providing healthier choices for school lunches. These include more whole grains and a wide variety of fruits and vegetables. Key nutritional improvements that we have made include offering a variety of more fruits, vegetables, whole grains, and fat-free and low-fat fluid milk with our meals. We are also reducing in the levels of sodium, saturated fat and have eliminated added trans fat. We do not supersize our meals, but instead, strive to meet the nutrition needs of students within their age-specific calorie requirements.